The original and only authorised tour of the cemetery! The Lodge, 212 Barlow Moor Road, Chorlton, Manchester, M21 7GL. On Remembrance Sunday let us remember the lives of sailors, soldiers, airmen and civilians lost during conflict, with special focus on the centenary of the start of World War One. Emma Fox, of Manchester Guided Tours, and local military historian David Harrop will lead people around the cemetery. 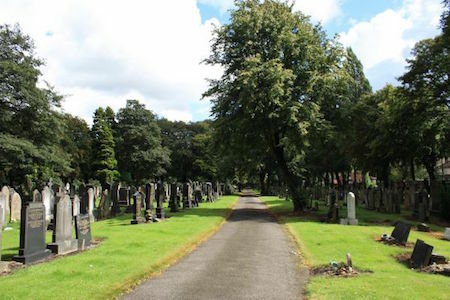 Opened in 1879 Southern Cemetery is the largest municipal cemetery in the UK, and the second largest in Europe.